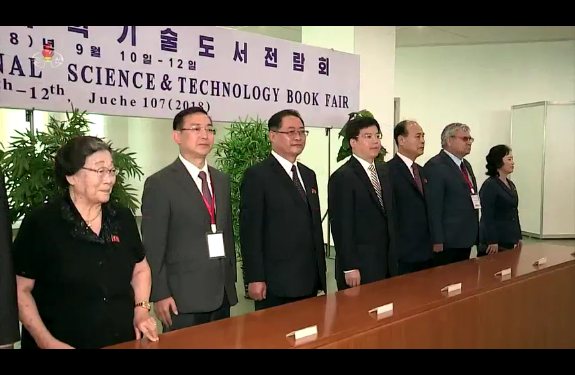 Participants at the 11th annual Science and Technology Book Fair (Photo: KCTV). 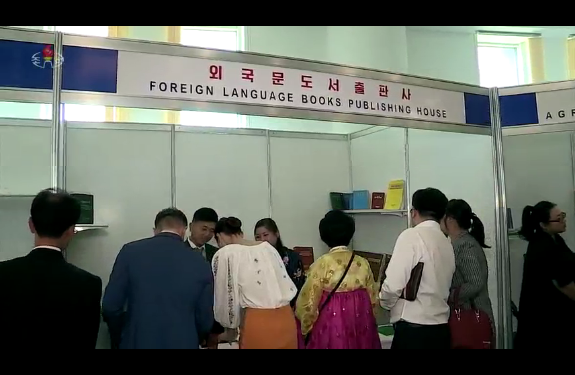 The 11th annual Pyongyang International Science and Technology Book Fair opened at the Sci-Tech Complex on September 10 (Monday). 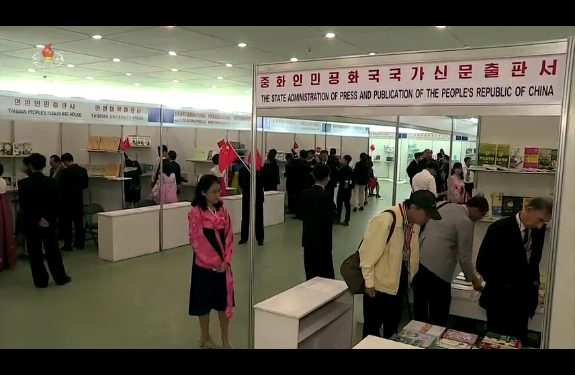 The book fair displays various texts published or disseminated by 70 different publishing houses from, among others, the DPRK, China, Russia, Germany, Canada and the United Nations (WHO, UNESCO, etc.). Attending the kick-off event was Workers’ Party of Korea [WPK] Vice Chairman for Science and Education Pak Thae Song (Pak T’ae-so’ng), Chairwoman of the Korea Committee for Cultural Relations with Foreign Countries Kim Jong Suk (Kim Cho’ng-suk), Sci-Tech Complex President Choe Jong Ho (Ch’oe Cho’ng-ho), various DPRK officials from education and publishing and DPRK teachers and researchers. 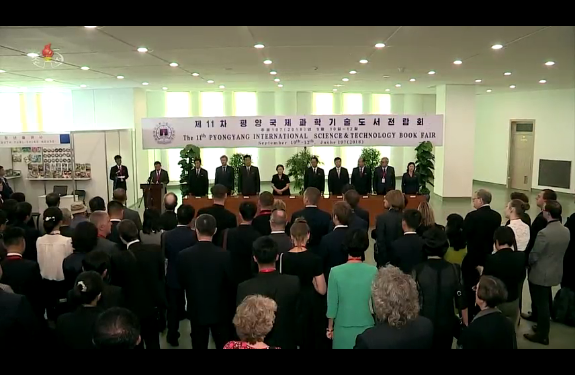 Also in attendance were foreign delegations visiting the country for 70th anniversary events and staffers of embassies and foreign mission stationed in the DPRK. 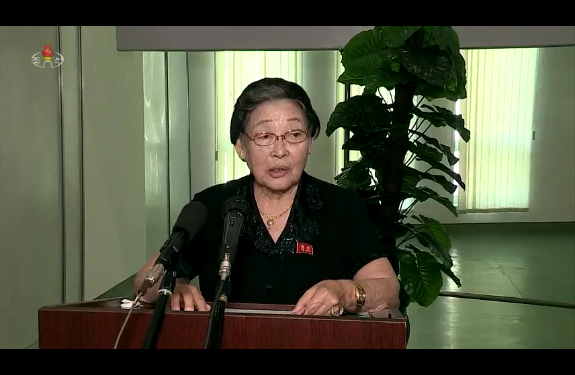 Kim Jong Suk, who is also head of the book’s fair’s organizing committee, delivered a speech, followed by a representative from the China Association of International Friendly Contact who delivered congratulatory remarks. 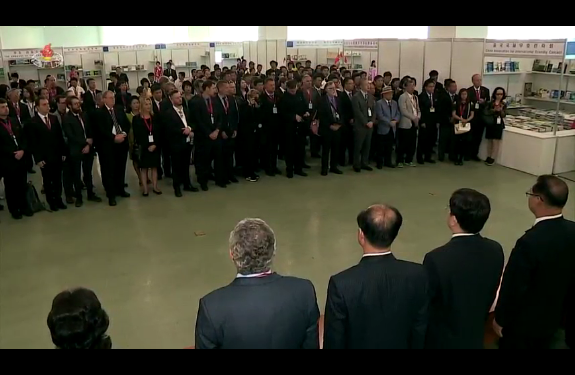 After the speaking program, the participants walked around the book fair. 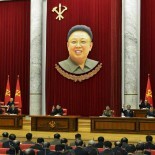 This article was written on 12 Sep 2018, and is filled under Central Committee, Central Military Committee, critical infrastructure, DPRK Cabinet, DPRK Diplomat Corps, DPRK education system, DPRK External Relations, DPRK space programs, DPRK-Central and East Europe [CEE] Relations, DPRK-China Relations, DPRK-Cuba relations, DPRK-Cuba relatons, DPRK-CZ diplorels, DPRK-East Europe, DPRK-Germany Relations, DPRK-North America Relations, DPRK-Russia Relations, DPRK-UNESCO Relations, DPRK-United Nations Relations, Education Commission, Executive Policy Bureau, General Affairs, General Bureau of Software Industry, General Federation of Science and Technology of Korea, Information Section, Kim Il Sung Youth League, kisyl, Korean Committee for Cultural Relations with Foreign Countries, Korean Workers' Party (KWP), KWP Science and Education Department, land and enviroment, Ministry of Culture, Ministry of Education, Ministry of Foreign Affairs, Ministry of Higher Education, Ministry of Land and Environmental Protection, Ministry of Public Health, North Korean press, Pak Thae Song (KWP CC Dept), Party elders, Political Bureau, Public Events, Publication Guidance Bureau, Publications, Secretariat, State Academy of Sciences, State Affairs Commission, State Science and Technology Commission, Workers' and Social Organizations.